Catalonia’s largest bank, Caixabank, made profits of 1.98 billion euros in 2018, a 17.8% rise over the previous year, the National Securities Market Commission (CNMV) has reported. The financial agency attributes the rise to the strength of the bank’s core revenue – derived from the firm’s main business minus all expenses for its main activities – which reached 8.21 billion euros, a 4.2% rise, with total revenue amounting to 8.76 billion, a 6.6% rise. The contribution from the BPI Bank in Portugal, which is 100% owned by Caixabank, amounted to 262m euros, compared with 104m the year before. Meanwhile, Caixabank’s net interest income went up to 4.9 billion euros, a 3.4% rise, and revenue from commission reached 2.58 billion euros, a 3.4% increase. 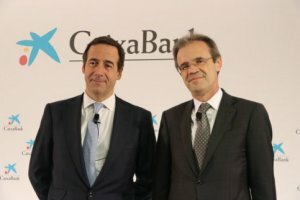 Among Caixabank’s restructuring plans is reducing the number of its traditional branches from 793 to 700, with 100 offices dedicated to business banking. As for Banc Sabadell, the CNMV says its profits of 328 million euros in 2018 represent a fall of 54.2%, due to the incorporation of the UK’s TSB bank, cleaning its balance sheet, and extraordinary costs of 637 million euros. In 2017, Banc Sabadell made a profit of 717m euros. However, the bank’s net interest income, a measure of earnings on loans minus deposit costs, went up to 3.68 billion euros in 2018, a 0.3% increase compared with the year before.